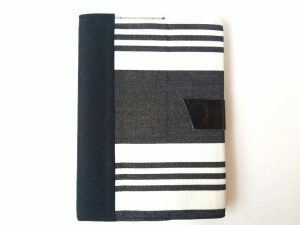 Need a great gift for someone using notebooks or keeping a journal/diary; who appreciates a truly unique, one-of-a-kind gift; and who cares about the earth? Look no further! 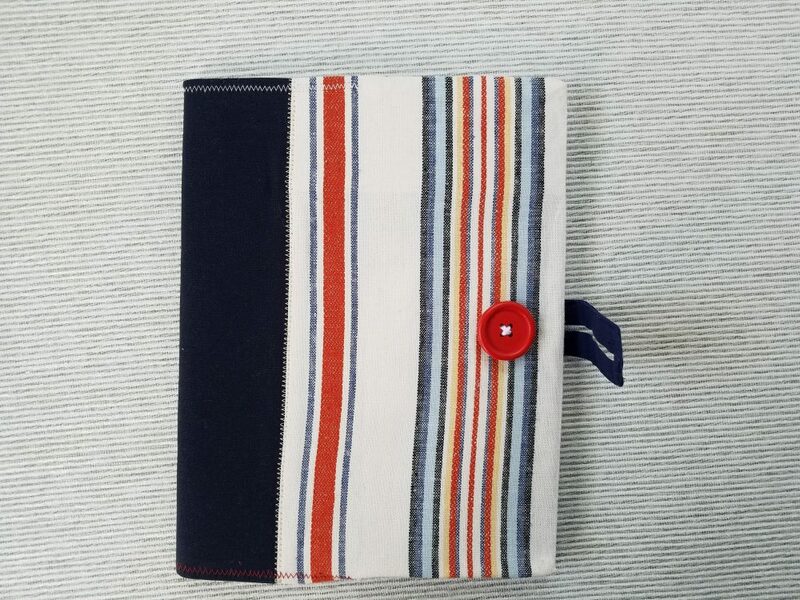 This soft composition notebook cover is a true eco-friendly gift. 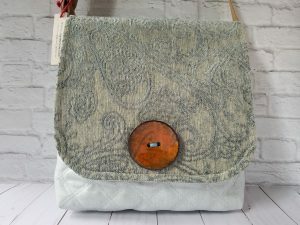 It is made of rescued fabrics, and can be used over and over again! 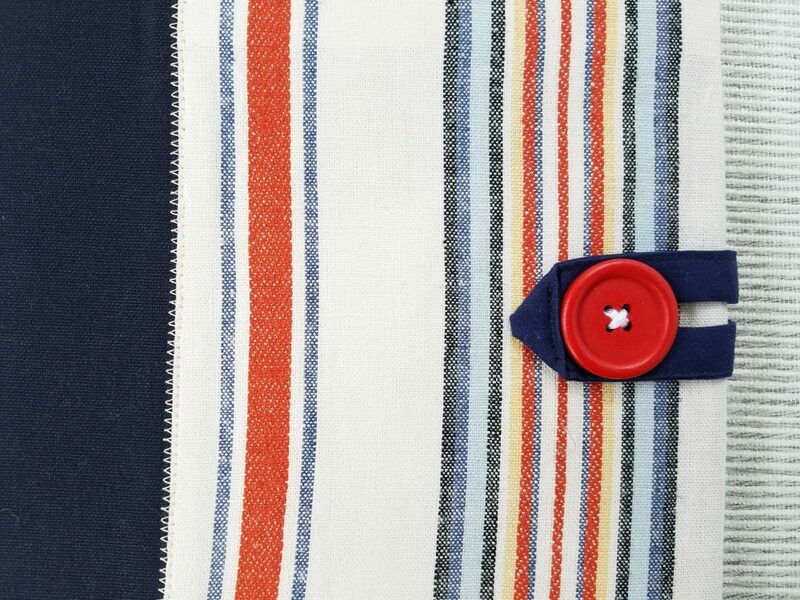 Patched from designer upholstery fabric pieces with a classic pattern, it has a summery nautical air. 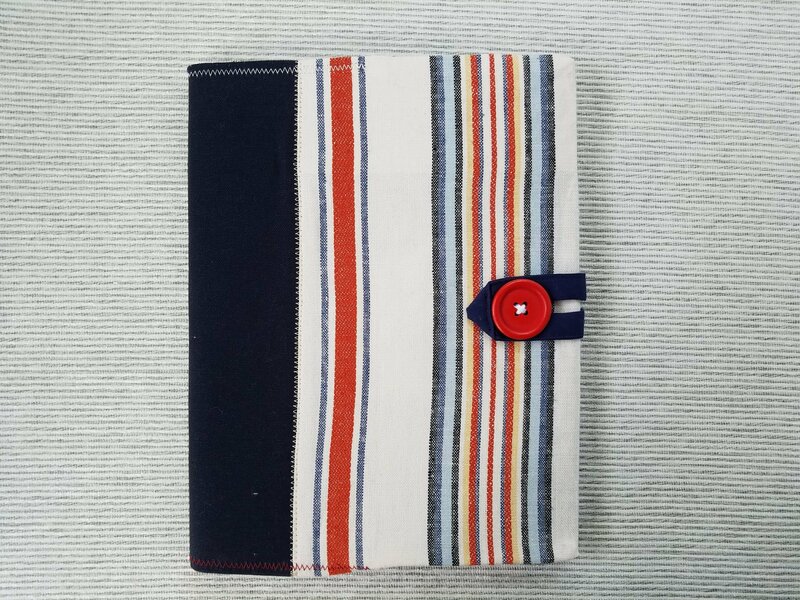 Modern, minimalist red, blue and yellow stripes in different widths are featured on the front, on a beige background that will work for men or women alike. 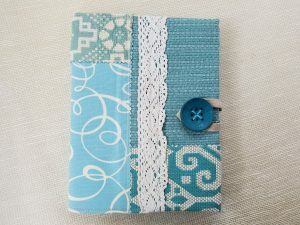 Give as a gift, or use it yourself as a special journal, diary or travel log, or as a beautiful cover for an everyday work or school notebook. – Made from rescued high-end designer upholstery fabrics, that are both gorgeous and strong. 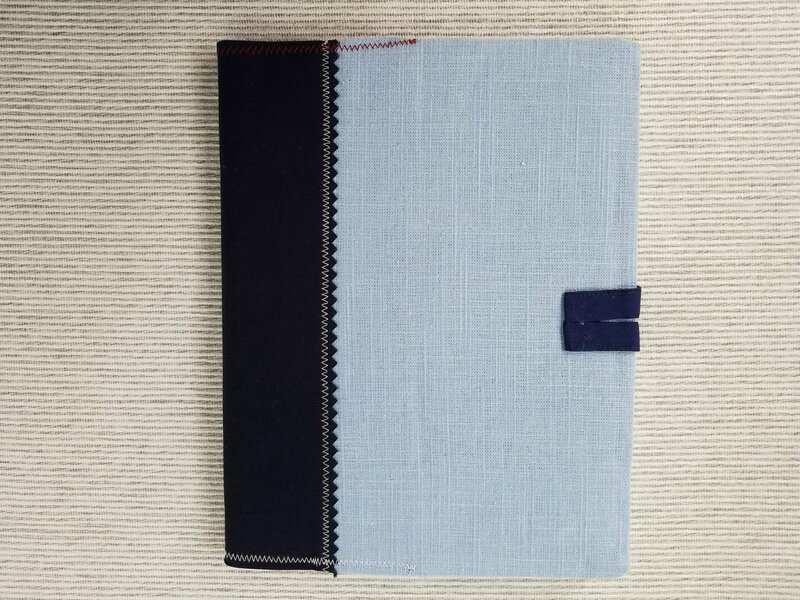 – This cover is made of pieces of matching fabrics in white, blue and red, sewn together into a collage. – Refillable: can be transferred from one notebook to the other as needed. – Designed and sewn by me in my smoke-free and pet-free home. 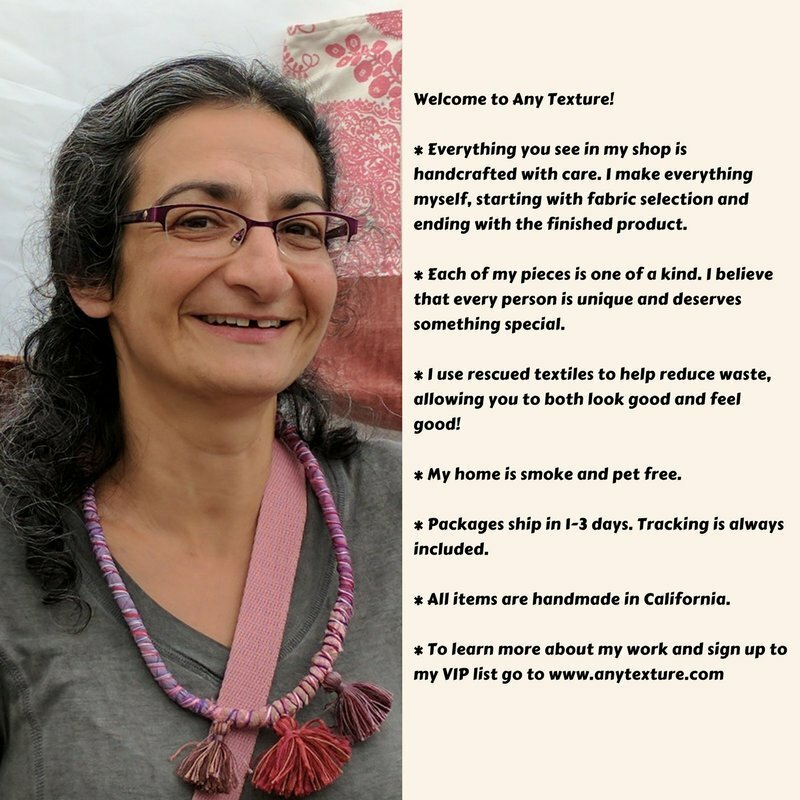 This item is already made and ready to ship via USPS First Class Mail.